Several weeks ago when I posted something about volunteering in the Vietnamese refugee camps in Hong Kong, my friend Judy told me about a class she took years ago about the Vietnam War. 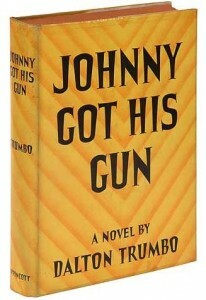 “Have you read Johnny Got His Gun?” she asked me. I hadn’t, so she lent it to me. I read it last week. 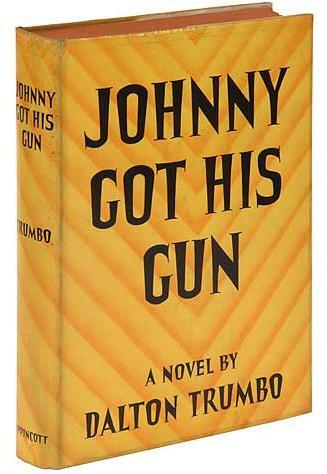 Although Dalton Trumbo wrote Johnny Got His Gun (Lippincott, 1938) about World War I, he wrote new introductions in 1959 and 1970. The novel has been an anti-war mantra for the Korean War and Vietnam War (it was temporarily out of print during WWII after the US entered the war to stop the Nazis). Trumbo wrote it to show how war costs lives. And sometimes it’s even worse than that, when someone straddles life and death, as does the protagonist, Joe Bonham. I can see how this book was included in Judy’s class about the Vietnam War. I can also see how it very much applies to the war in Iraq today.